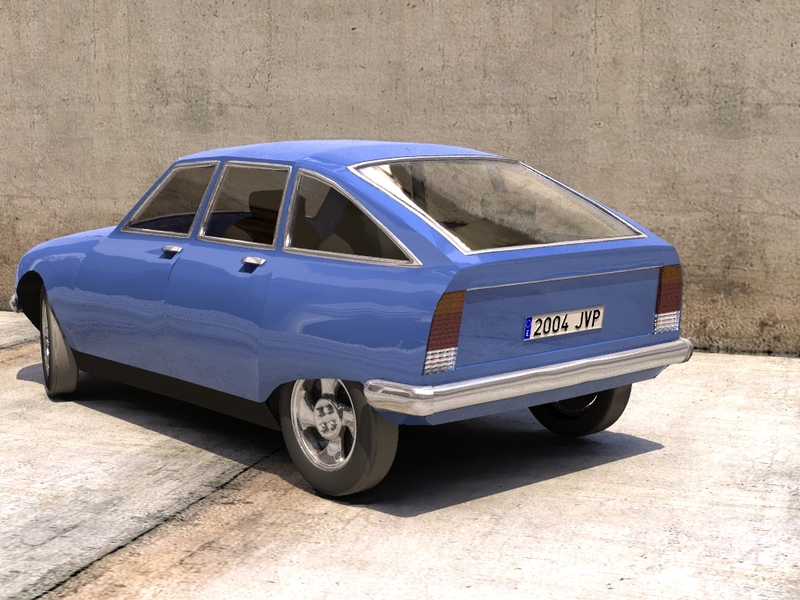 Again playing with cars… it’s really a fun subject to model with Wings3D. 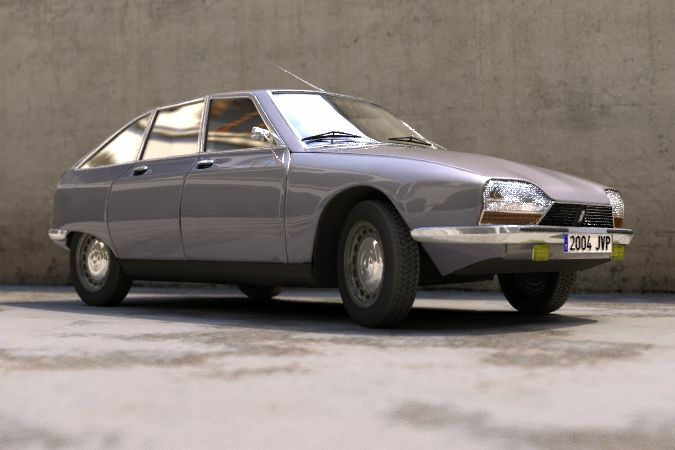 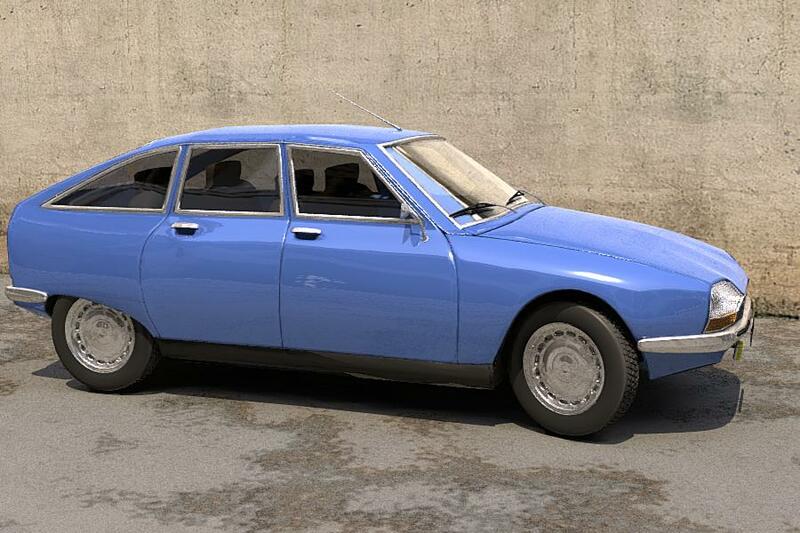 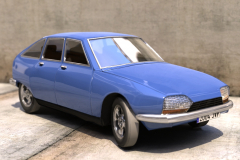 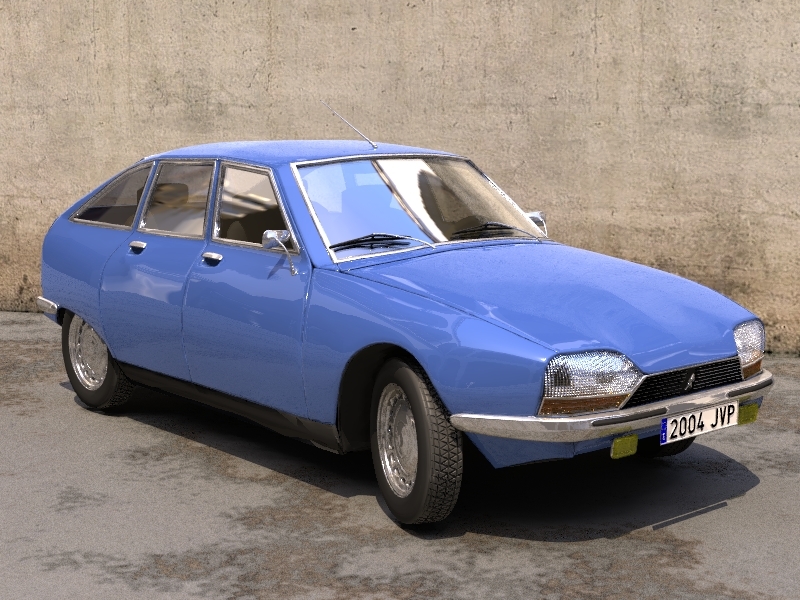 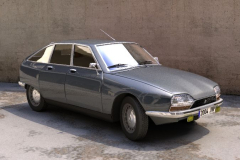 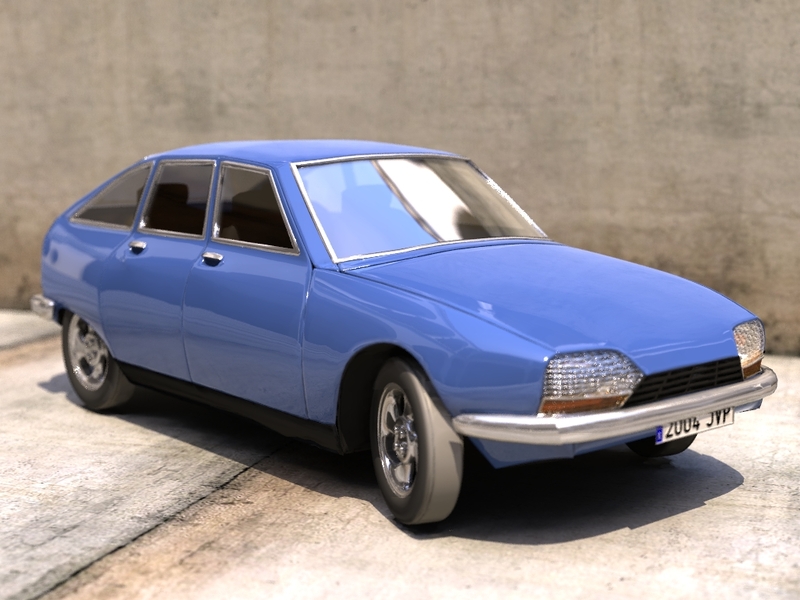 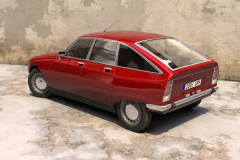 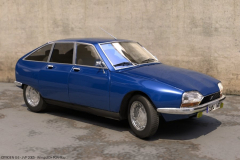 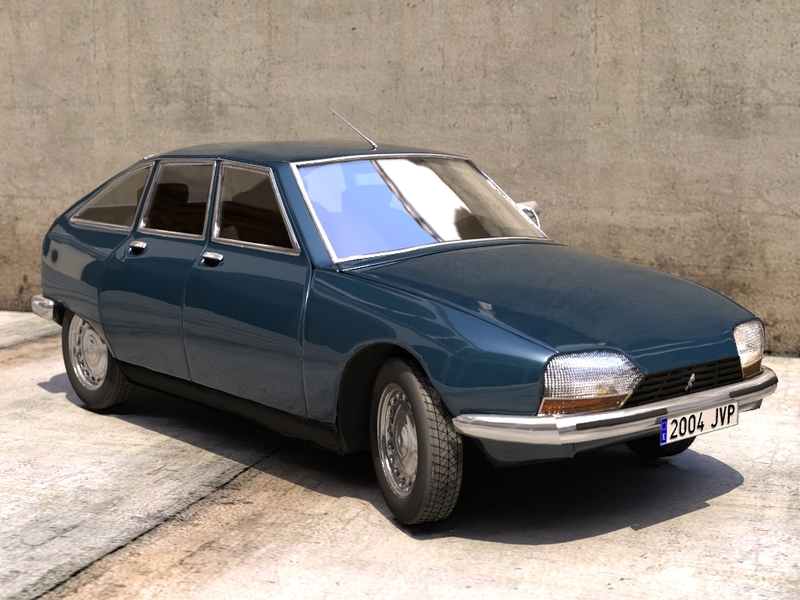 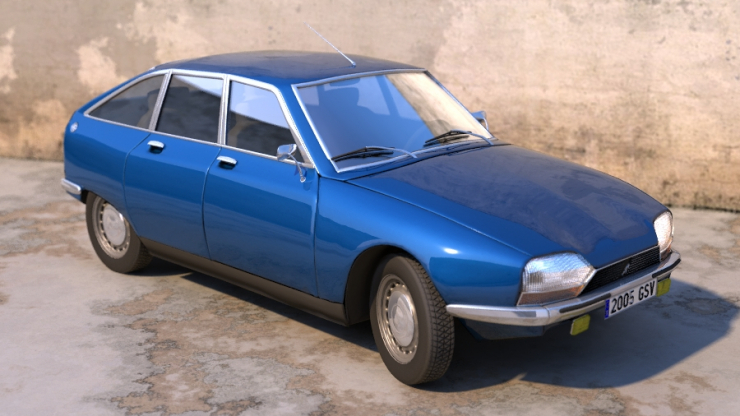 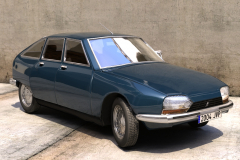 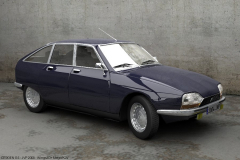 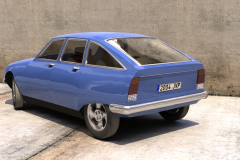 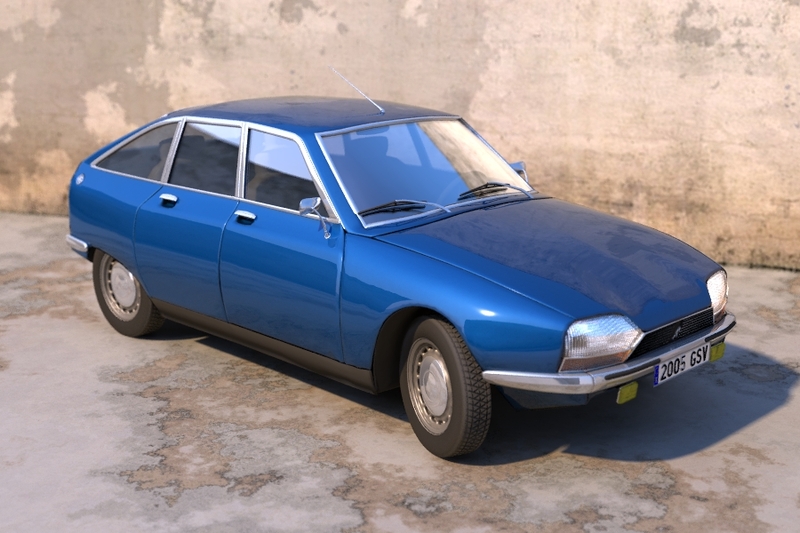 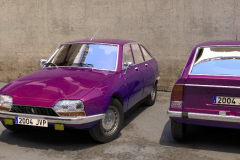 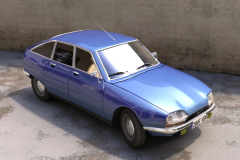 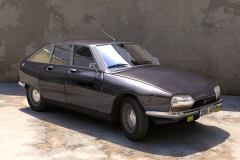 This time I started from the blueprints of a Citroen GS available on several places on the internet. 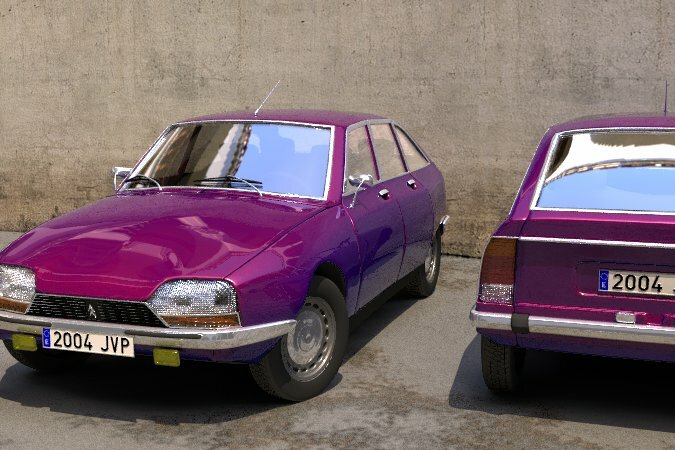 I tried to follow all the details with reference photos found on the net (thanks to many GS fans out there with a web page), but the result isn’t really accurate. The pieces were cut from a whole mesh, and exported individually to POV-Ray, where I conveniently grouped them, and then mounted the final car objet with a macro, to pass some parameters, as the paint texture and others. 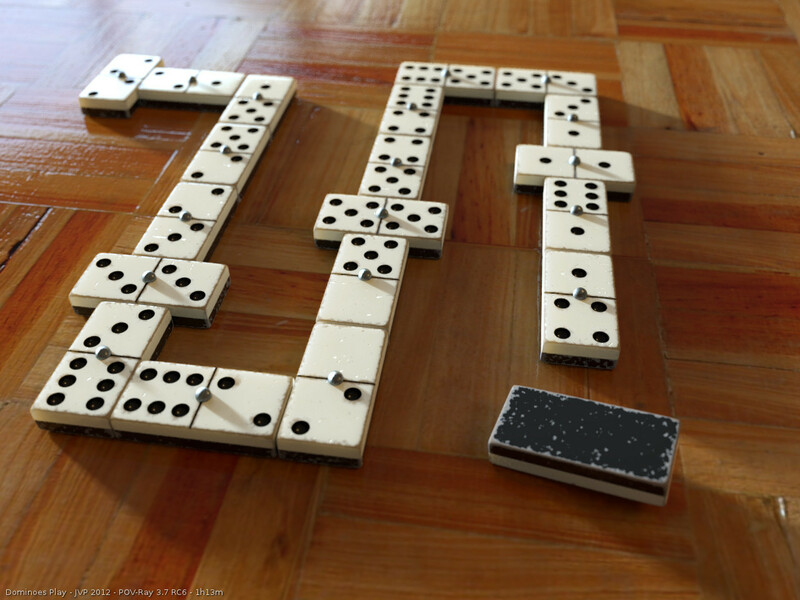 The code is available in POV format, with a demo scene showing how to use it on your own scenes.